M-Spaces is the perfect choice for executive housing in Austin. Join our list of name-brand clients such as ABC, Whole Foods and Capital Factory. We offer apartments and houses that are fully furnished - everything from sheets down to silverware. Don't waste the money and time setting up everything yourself, arrive to a space that fits your needs instead. You'll be living in the most upscale portions of downtown and the SoCo area. No fretting about whether you're in the right neighborhood or not. 24/7 security professionals so you know you're safe in your new city. 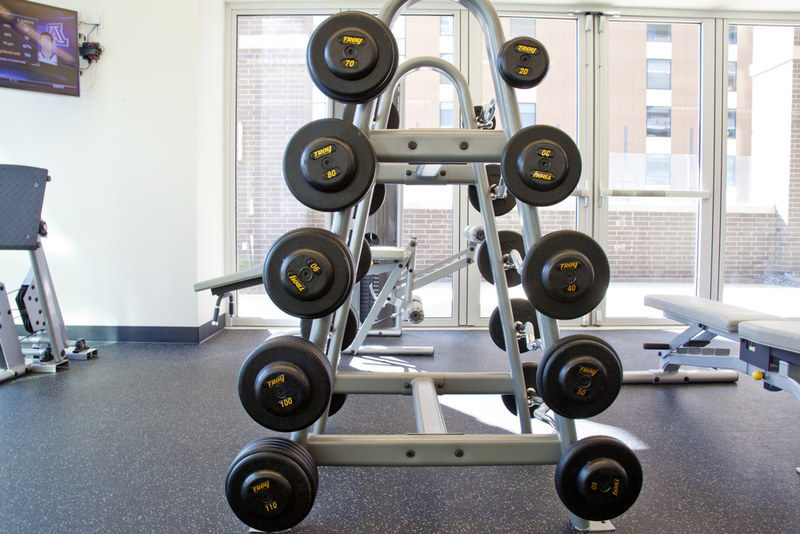 We are always here to bring you exactly what you need. Whether it's champagne, restaurant reservations, or the towels simply don't fit your taste, we will answer all of your needs. 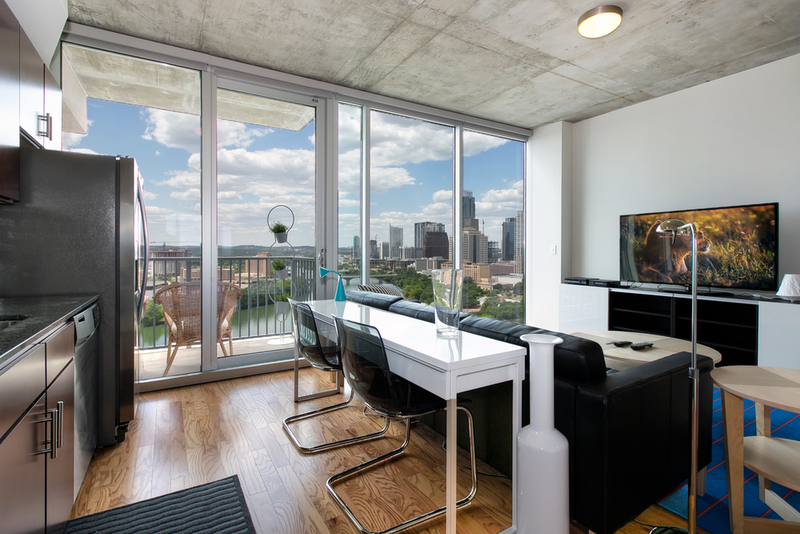 We guarantee that we will beat any price for a fully furnished apartment in any of our complexes in Austin. With MSpaces there are no hidden fees or utilities to spring on you - just one flat payment. 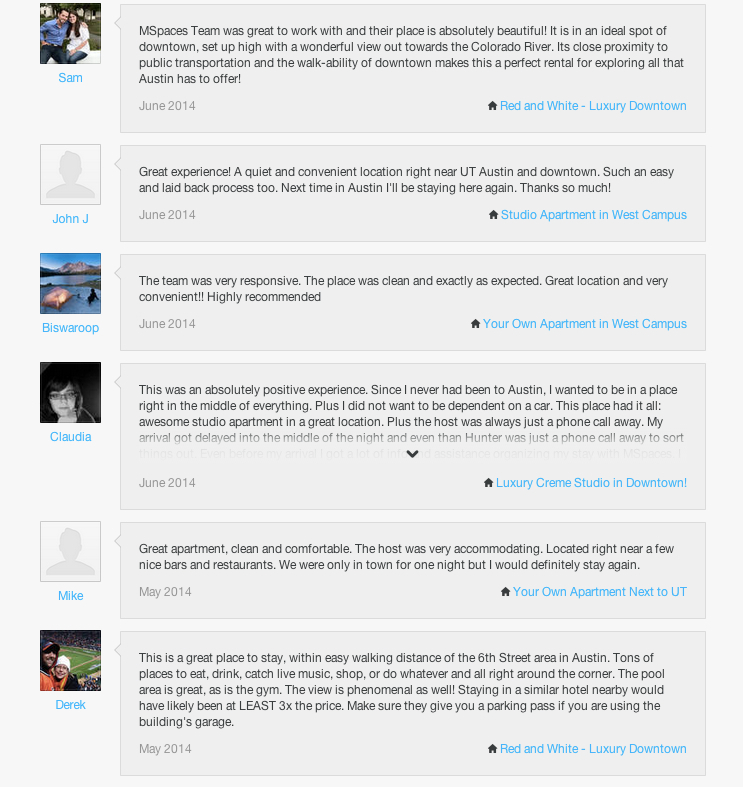 Because we have so many spaces and reviews in Austin, you know you are working with a trusted source.